GREEN Party of Canada Leader Elizabeth May (MP, Saanich-Gulf Islands) on Tuesday threw cold water on Alberta’s declaration of victory in its dispute with British Columbia over the controversial Trans Mountain pipeline expansion project. But May said that Notley’s triumphalism is premature. * Numerous cases brought by environmental groups and based on the Species at Risk Act and threats to southern resident killer whales. 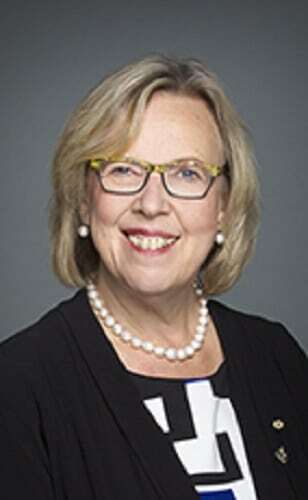 “If the Federal Court of Appeal finds in favour of the appellants in even one of these cases, Kinder Morgan’s permits could be quashed,” said May, who noted that there is one more pending case still under development. The B.C. government has retained prominent lawyer Joe Arvay to develop a constitutional case on the question of the extent of BC’s jurisdiction to regulate bitumen flows in the province. There is no victory. Nothing has changed. KM has no equipment to clean-up a dirty, tar sands spill. And you call Notley a NDP government? Wow. Imagine how far right the right of centre parties must be in Alberta.